For anyone who has raised a child (or three or four! ), I think we can all agree that the teething season is awful! The crying, the fussing, the drooling. Then there’s the baby! Just kidding. For real, teething is no joke and most babies go through some level of discomfort during the season of time that baby teeth are erupting along the gum line. As a dental professional, you may have had patients ask you for your advice on how to deal with their baby’s teething. Teething remedies can range from grandma’s home remedies to letting the little one chew on cold washcloths or chilled teething rings. But a recent announcement by the U.S. Food and Drug Administration addresses and condemns the use of teething jewelry. On Dec. 20, the FDA issued a warning against the use of jewelry that is marketed to relieve infant teething pain. "The FDA has received reports of death and serious injuries to infants and children, including strangulation and choking, caused by necklaces and bracelets often marketed for relieving teething pain," according to an FDA notice. Teething jewelry is made with various materials, including amber, wood, marble or silicone. The risks of using teething jewelry include choking, strangulation, injuries in the mouth and infection, the FDA said in a news release. Choking may also occur if the jewelry breaks and small beads or the whole piece of jewelry enter the child’s throat or airway. According to the FDA, it received a report of a 7-month-old child who choked on the beads of a wooden teething bracelet while under parental supervision, and an 18-month-old child who died after getting strangled by his amber teething necklace during a nap. 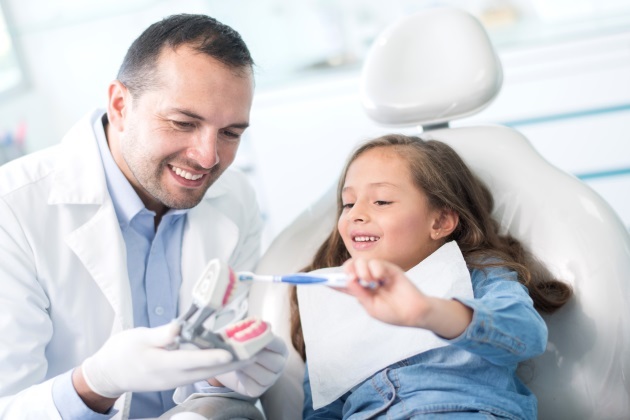 The FDA recommends that dentists and other healthcare providers talk to parents or caregivers about safe ways to reduce teething pain, including gently rubbing or massaging the gums with your clean finger. The FDA also recommends discouraging the use of teething jewelry for relieving teething pain and for providing sensory stimulation to people with special needs. The American Dental Association offers alternative teething relief advice on MouthHealthy.org, the Association’s consumer website. Always a lover of words well written, Tammy Adams is an experienced and award-winning copywriter/editor making a difference in the healthcare marketing, public relations and communications industries for more than 20 years. She has a BA in English from Texas Christian University (Go Frogs!). Equal parts creative and technical, she is a seasoned and diverse medical writer who knows how to execute like a journalist, think like a marketer and write like a storyteller.